Isla de Pascua sits in the Pacific 1,289 miles away from its nearest neighbor. The island that became known to the West as Easter Island had seen its population drop 80 percent in just the past century. Sturdy canoes once made from the trunks of local palm trees were scantly available. This diminished the Rapa Nui people’s ability to fish effectively using less-seaworthy boats, limiting their food supply. The giant Moai statues for which the island is now famous fell into disrepair. Representing deified ancestors, monoliths weighing as much as 14 tons were carved from volcanic ash rock known as tuff. This rock, harvested from a quarry at Rano Raraku, was then transported to its final destination. However, without tree trunks acting as rollers to move the stone heads along the terrain, no new ones had been transported in years. This led to a rise in worship of tangata manu – the “bird man,” over the traditional veneration of the dead. With islanders hungry and religious conflict set to tear the island apart, the Rapa Nui were pushed to the brink of destruction. The catalyst for this dystopian descent wasn’t the arrival of foreign visitors carrying disease or weapons. It also wasn’t caused by a shift in economic power. While there was a clearly structured and complex society, there was no economy to speak of as sustenance farmers. The root cause was deforestation. It cannot be denied that deforestation, whether by the hand of man or as a result of natural occurrences like the Carboniferous Rainforest Collapse of 300 million years ago, has a grave effect on the world. The mid-70s manifestation and subsequent spread of Lyme disease, caused by the Borellia burgdorferi bacteria passed on by the bite of a deer tick, can be directly traced to the anthropogenic deforestation that occurred during the expansion of the American suburb and the resulting “secondary forest” – the trees and other fauna that grow as a buffer between the woods and residential areas. The twin factors of proximity to humans and a decrease in predator population has led to a perfect storm that has resulted in as many as 300,000 cases of Lyme in 2013. 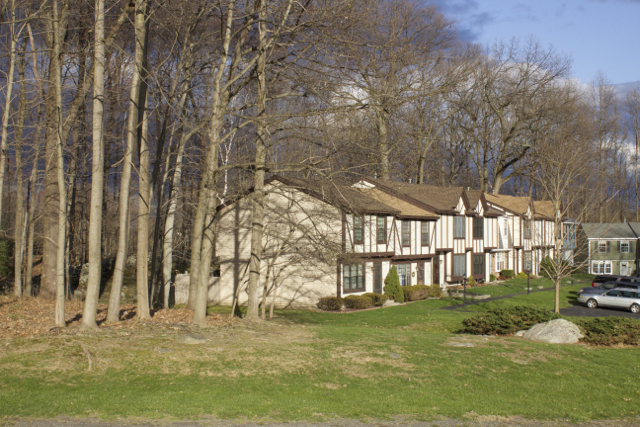 Redmond Landscaping and Contracting oversaw development of the Sunnybrook housing complex in 1977. Sunnybrook, an apartment complex with more than 200 units, sits nestled next to Illinois Mountain Park. As a state park, Illinois Mountain is untouched by developers. However, where the park boundaries end, Sunnybrook begins. “We pushed as far as we could, but had to stop at the protected property,” said Redmond. 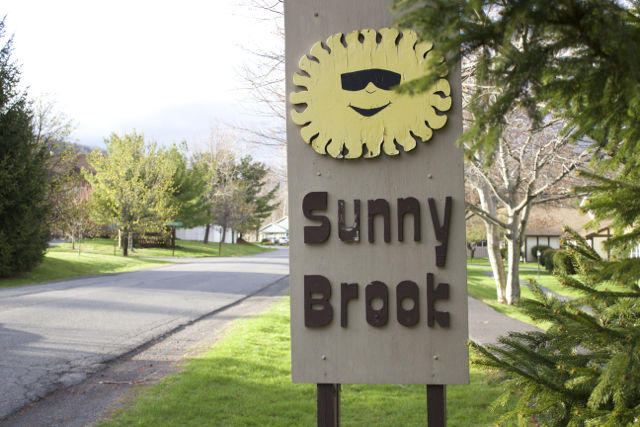 The story of Sunnybrook’s development is a familiar one for many Northeastern towns. The expansion of affordable post-war housing started in Levittown on Long Island and spread outwards. By the mid-70s, many small towns with the space and population to accommodate built their very own tract housing development. Unfortunately, these idyllic slices of the American Dream came with an unseen danger. 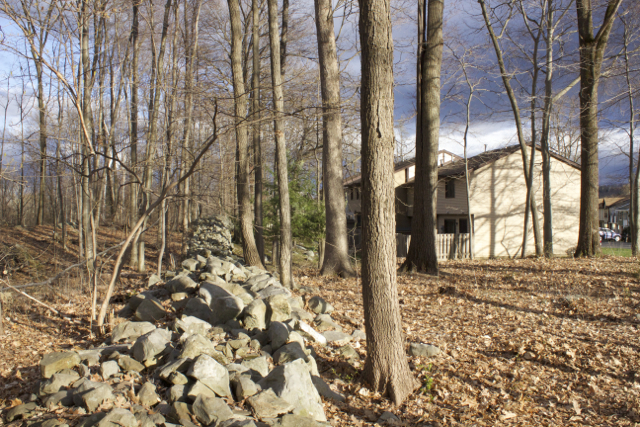 Mark E. McConnaughhay, an ecologist and professor of ‘Weather and Climate’ at Dutchess Community College explains the danger of setting a residential complex so close to densely forested areas. This upheaval of the food chain is exactly how Lyme becomes a potent danger. Although the deer tick is the vector animal – the one that spreads the disease to humans – it gets the Borrelia burgdorferi from the white-footed mouse. While deforestation destroys the predator’s habitat, forcing them into the woods or thinning their population altogether, the white-footed mouse can nest inside human homes, where both warmth and food are plentiful. However, McConnaughhay notes, that doesn’t mean that those are house mice. The other danger in disrupting the natural ecosystem is – as mentioned earlier – the predators are removed from the food chain. Sure enough, diagnoses of Lyme started popping up in Highland, clustered around the Sunnybrook complex. The first came in 1983, and a 2009 study commissioned by the Town of Highland detailed more than 60 cases of confirmed Lyme occurring in the area of Sunnybrook since the first diagnosis. Sunnybrook is one among many instances of clusters of Lyme surrounding suburban areas. According to McConnaughhay, the population density and proximity to the now top-of-the-food-chain deer ticks are at the heart of the boom that has seen more than 5,500 case of Lyme in New York every year. Unfortunately, it seems as if deforestation isn’t the only cause for concern regarding the spread of Lyme. Climate change, formerly known as global warming, has raised temperatures in areas where deer ticks wouldn’t normally survive. This has led to Lyme spreading into Canada. Russ Wesler of the Cornell Cooperative Extension said that Lyme has reared its head in the Ontario County town of Canandaigua. “In the summer, I live up near the Finger Lakes… by Rochester. A decade ago, you wouldn’t see any cases, but just last year we had 11 confirmed,” said Wesler. Some fringe Lyme followers believe that Lyme is a man-made disease, originating at the Plum Island research center on Long Island. According to Wesler, that theory isn’t too far from the truth.